R/C Frenzy | New Bright Industrial Co. 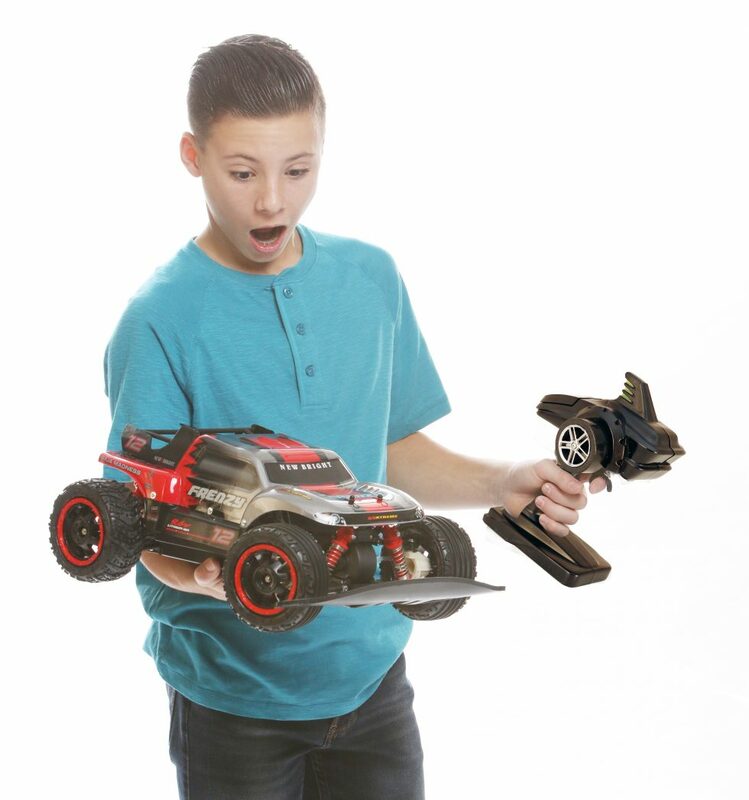 Frenzy is the toughest, fastest and most advanced radio controlled vehicle ever offered by New Bright. Constructed around an all-new brushless motor setup, metal differential gears, a super rigid chassis with full suspension and foam filled tires, Frenzy hits a new level of performance. The big 9.6 volt Lithium Ion rechargeable battery pack pushes this 19” long race truck to speeds over 20 MPH. The controls are fully digitally proportional speed and turning for smooth racing, and 2.4 GHz Technology allows for up to 12 drivers to hit the track at the same time. Click here to see more….